Before we published a post about 4/3 Years Bachelor Level First Year Exam Centers same as notice published from Tribhuvan University. 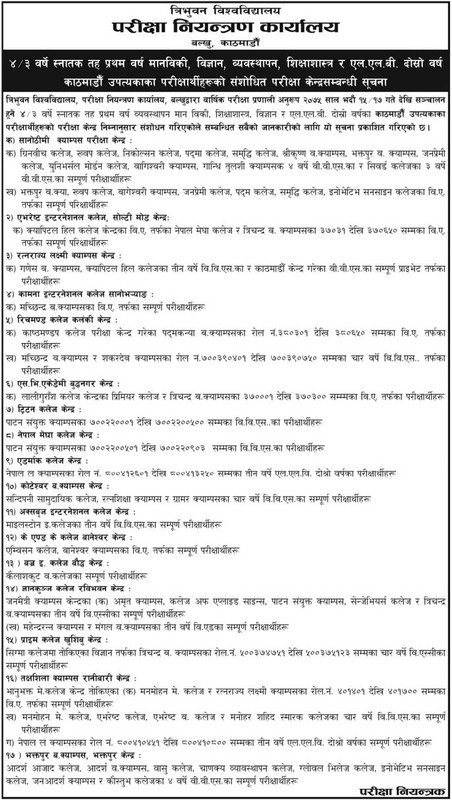 Today Tribhuvan University published another notice about modified some exam centers. Check [Modified] 4/3 Years Bachelor Level First Year Exam Centers below.